Special Event - Thank You! Thank you to everyone who came to the very first BOGO Event. We made some cute make and takes...and I think some great "finds" were made. I thought it was a win-win and will definitely do it again! 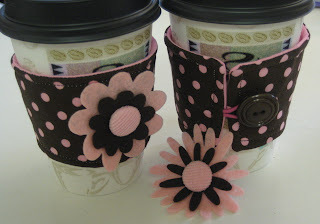 These little coffee cozies are as cute as they are functional! Make one for yourself, and make sure to make a bunch more as your friends are all going to want one when they see yours! You can all sip your favorite hot beverage and work on Craft Project Central projects! Enjoy! I also want to share some photos Brenda took from our Pacific Stampers meeting this past Friday. We had our wonderful group of friendly faces and some new faces too! Welcome ladies! 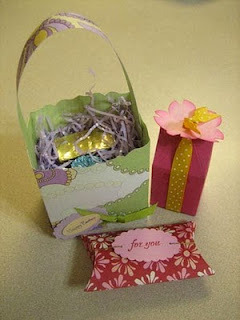 Here are some cute favors! Thanks Kim, Jenn and Michelle P.! As you can see we have a talented group of ladies!!! And, they are even more fun than they are talented! Is that possible? :) If you would like to join our group, please contact me and I'll invite you to us for one of our group events! 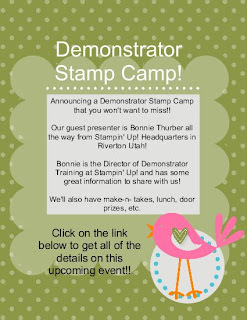 Stampin' Smiles! Hope you'll make a coffee cozy! Labels: "Craft Project Central" "Big Shot"
Wanted to share a couple of projects that have posted recently on Craft Project Central. 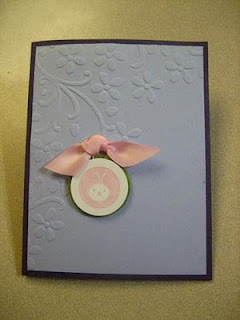 The first is a cute Baby Ensemble designed by Zeva. 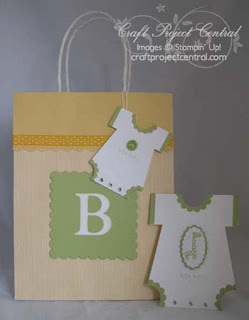 It's a set of coordinating gift bag, bag tag, and onsie gift card holder! So cute! Almost makes me want to have another baby! Ha, ha! 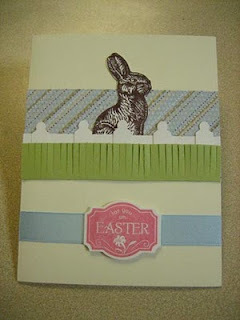 This is Krista's design--so creative! 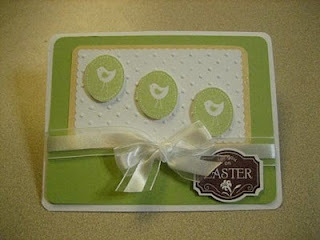 A very green project using the frame from the On Board Scallop Circle Book found in our Occasions Mini Catalog! 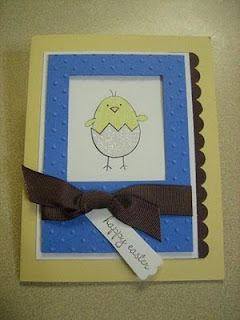 If you would like to make these and many other great projects, please visit Craft Project Central. Have a wonderful day and watch out for those mischievious leprechauns! 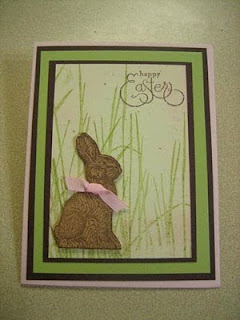 This is March project #3 at Craft Project Central, designed by Brenda. A Bunny Basket and Punch Art Page! 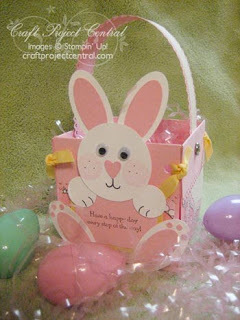 Just in time for Easter, here is a cute little basket to make for all of your favorite little bunnies! Instructions also include a punch art page that you can add to your punch art book! It's a little hard to tell with the heavy wind we've been having...but at Craft Project Central it's very obvious! 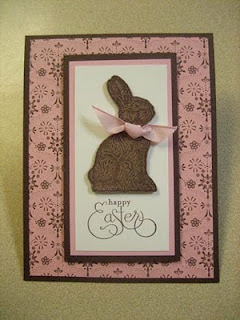 Jacque designed the second project for March. 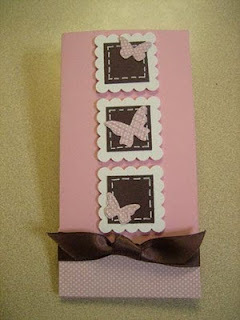 A Sweet Pea Desk Supplies Set! 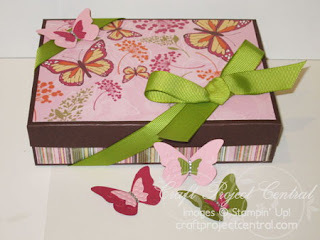 Inside this pretty little box are beautifully decorated desk supplies. This set makes a great gift for co-workers, teachers, or anyone that wants to brighten up her desk! And how about one for youself too?! Come back tomorrow to see what Brenda (a.k.a. Punch Queen) designed--that's a hint! 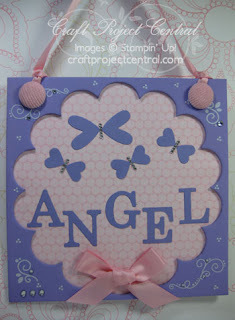 What's New at Craft Project Central! 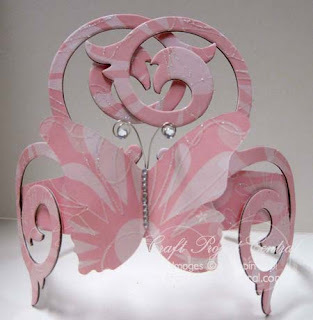 With two little princesses of my own, I will definitely have to make Craft Project Central's first project for March Naoko's Butterfly Tiara! And, this is the Bonus project designed by Zeva. 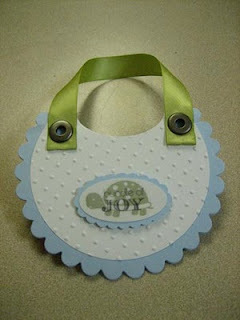 The instruction can be yours free for referring your friends and family to Craft Project Central. Ask me how! Thanks Zeva for the "J". :) Thank you for sharing such a wonderful project! Please visit us at Craft Project Central. If I can help you with anything, please let me know! Only a few more weeks of Sale-A-Bration! FREE stamps/product for every $50. 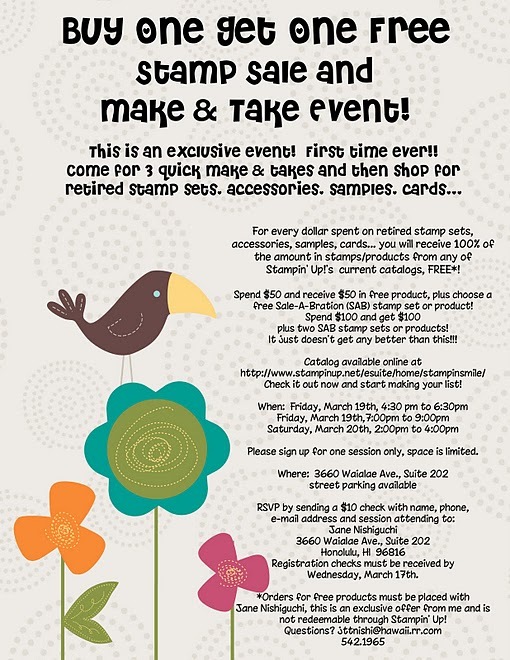 It's Stampin' Up! 's biggest promotion! Aaaugh! I ("We"-Mari, Leah and I) have been extremely busy with Girl Scout cookies ever since they arrived last Thursday! I didn't realize how quickly time flies! I apologize for the delay! I really want to share this with you... If I haven't already called personally and/or e-mailed and if I did and you haven't signed up yet, please check this out! We are so lucky to have Bonnie Thurber as our guest speaker!!! 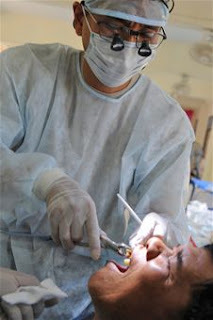 I know you will enjoy yourself and hope you can join us...The deadline is Friday, March 10th. I'm very proud of both girls...This is Mari's second year selling girl scout cookies and Leah's first. Mari jumped right back in and is doing a fantastic job! Leah is a trooper! She spent her 6th birthday selling cookies at two booth sales--a total of 8 hours! The only "complaint" Leah had was that she wanted to "do more". The Daisy girls took turns: one helped the customers gather the cookies and collected the money, calculating the change...while the other did the "bagging". All of the girls want to do the first job and were not too keen on the "bagging." Let's just say it was a nice "dilema" to have girls so eager to help! And they are so cute!!! Thank you for supporting our Daisy and Brownie Troops 276 and 004! We really appreciate it! I've been so busy, I haven't had a chance to stamp! I'm getting withdrawals! Eeek! I have to do something soon!